Aurangabad, August 9: The Gujarat Anti-terrorism Squad (ATS) and Mumbai Crime Branch on Wednesday arrested Yahya Abdul Shaikh, a key accused in the 2002 Ghatkopar bus bomb blast case from Aurangabad. A 43-year-old Yahya Abdul Shaikh had fled to Riyadh in Saudi Arabia immediately after the blast and returned to Aurangabad only two days ago. As soon as the agencies received the information, Yahya Abdul Shaikh was nabbed. Shaikh was a software engineer at Pragma Software Technology, which he operated along with two other blast accused at Aurangabad. He was amongst the prime conspirator of Ghatkopar bus bomb blast in which at least two people were killed and 50 others were injured. After the blast, the local police raided the company premises and found incriminating literature related to terrorist organisations such as Indian Mujahideen, Jaish-e-Mohammad and Al Qaeda. They had also recovered several videos of the 2002 Gujarat riots and other anti-social activities. Shaikh was named in the FIR lodged by Mumbai police after the blast and charged under relevant IPC sections as well as under the Prevention of Terrorism Act (POTA, which is now repealed). Shaikh was also wanted in the Mumbai-Ahmedabad Karnavati Express blast in 2006. 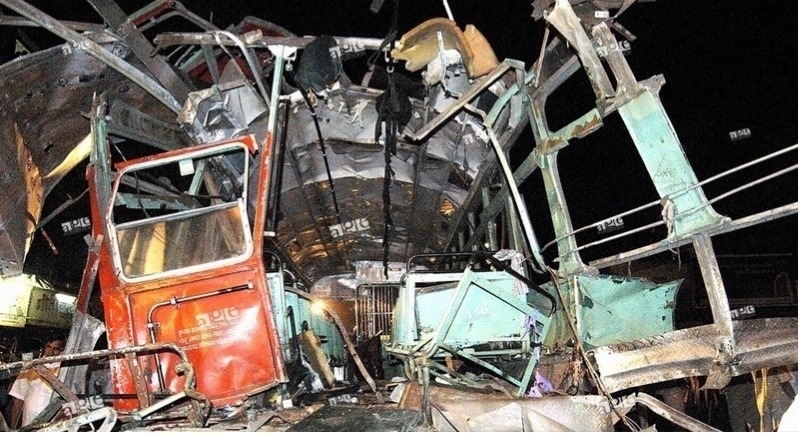 On December 2, 2002, at 6.45pm, a bomb placed under the seat in the rear of a BEST bus had exploded near Ghatkopar railway station, killing two and injuring 50 people. During the trial of the Ghatkopar blast case so far, all the arrested accused have been discharged for lack of evidence.